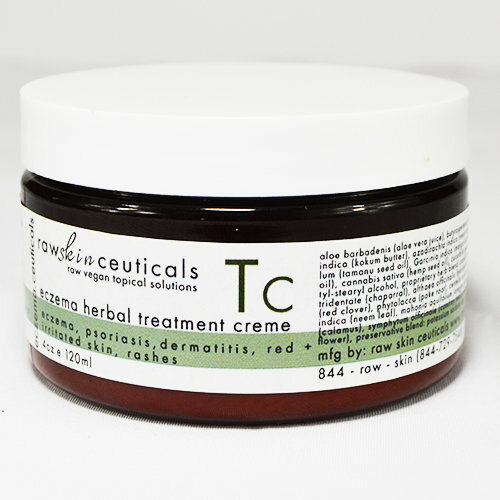 Designed for eczema, dermatitis, psoriasis, and most varieties of topical skin rashes. Triple infused herbal blend including calendula, calamus, and neem leaf combined with neem seed, hemp seed, and karanja oils to immediately sooth and relieve itch, redness, and inflammation. Use Apothe.Ceuticals Treatment Lotion for more widespread minor rashes. Apply liberally around affected areas morning and evening or as often as needed.